Hi! My name is Kassie Nance. I became a travel advisor for Pirate and Pixie Dust Destinations in 2017. I have been married to my husband Blake for 13 years now and we have two sweet girls. I went to Disney as a child but did not frequent it, so when I began researching it as an adult to take my own children, I was quickly in information overload. I realized how stressful it could be to have to plan and do all that research all by myself. 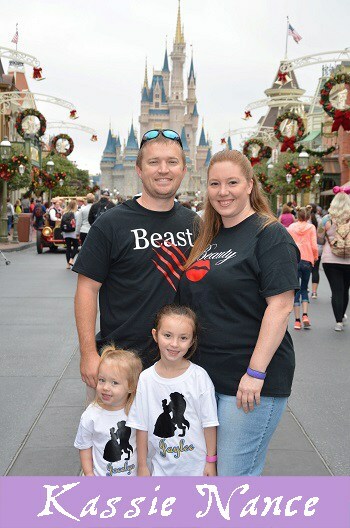 My family loves Disney and we now go a couple of times a year. Once I was informed and trained on all things Disney, I LOVE being able to take the stress out of vacation planning for others. ***Since I am a Florida resident I have am extensive knowledge of Florida resident discounts at Disney and Universal.